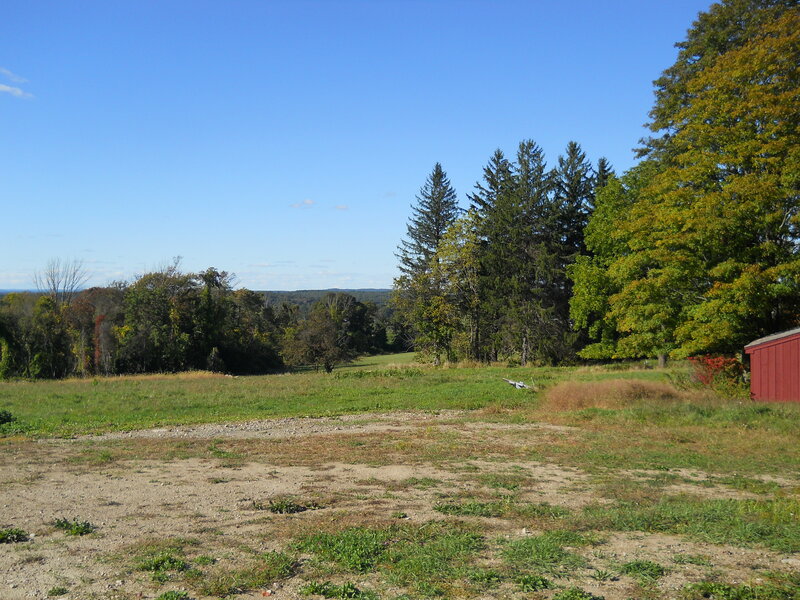 Pegan Hill (Trustees of Reservations) - Natick & Dover, MA - Take a day trip! 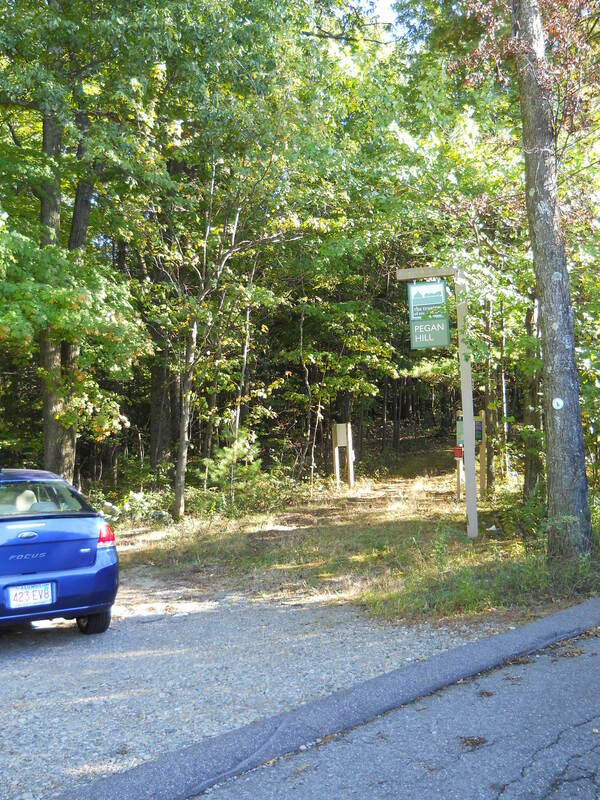 Pegan Hill is a small park with a hiking trail that runs about a mile each way over Pegan Hill on the Natick/Dover town line. The trail itself never leaves the woods, however the southern end of it intersects with Pegan Lane which is a nice additional walk. The top of Pegan Lane has a nice clearing with some nice views where you could honestly think that you’re in Vermont for a few minutes because it looks so rural. 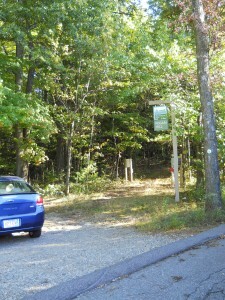 Pegan Hill Parking Area and Trailhead. there with enough snow on the ground, it would also make a nice place to snowshoe. The trail might be a little too steep and rutted in spots for it to be an ideal cross-country skiing location. Facilities, Fees and other information: Beyond a small parking area, trail map and trail markings there aren’t any facilities here.